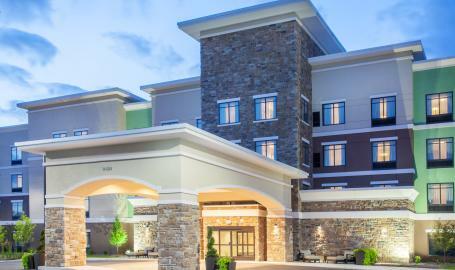 Feel right at home when you book a room at the Homewood Suites by Hilton Munster. 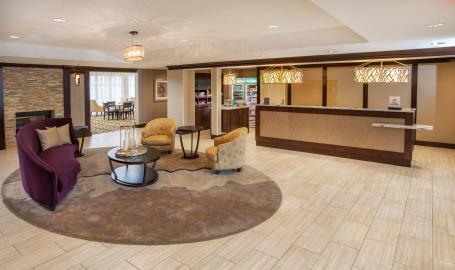 The hotel offers a modern feel with beige, gold and metallic accents and plenty of natural lighting. 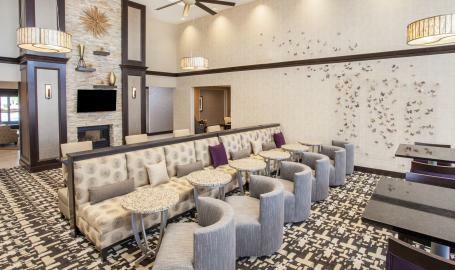 Stay close to everything you need for business and leisure, just 25 miles from Chicago. 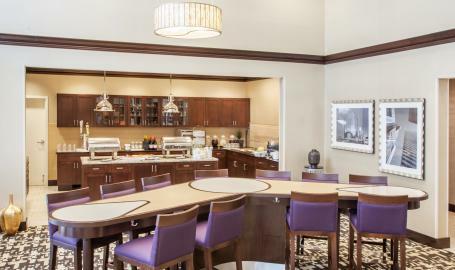 This hotel is convenient to Pepsi, Ford, Cargill and Community and Franciscan Alliance Hospitals in the northwest section of Lake Business Center. Spend the day at one of the various casinos, Centennial Park or The Center for Visual and Performing Arts and be sure to return for the hotel's evening social (local and state laws apply) offered Monday through Thursday. 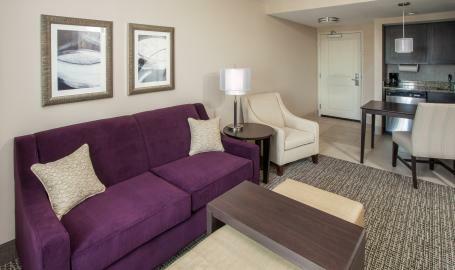 Unwind in a spacious suite with a fully-equipped kitchen and complimentary internet access. Our Munster hotel offers a selection of larger rooms featuring a separate living area and sofa beds. Wake up ready to conquer the day with a full breakfast, served seven days a week. 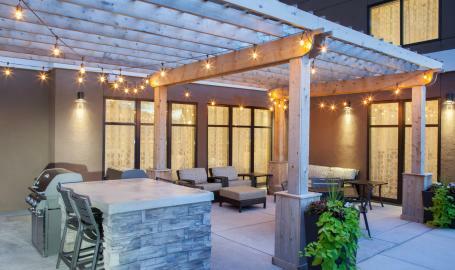 Plan a Munster event at the hotel with options for up to 80 people. 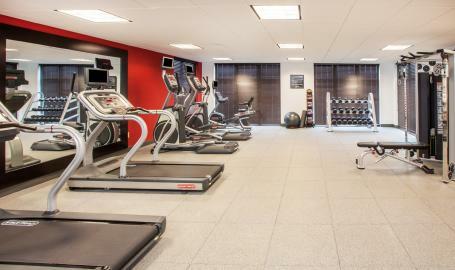 Your guests will enjoy the many hotel amenities including a heated, indoor pool, outdoor sports court, fitness center and even a modern business center. 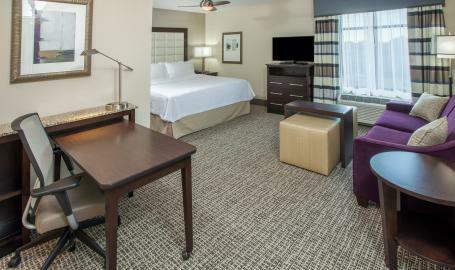 The comfortable suites feature thoughtful amenities for an enjoyable stay. Each studio and one-bedroom suite has a separate living and sleeping area and a fully equipped kitchen with a two-burner cooktop, microwave and dishwasher. Stock your full-sized refrigerator with snacks from the Suite Shop convenience store, or use the complimentary grocery shopping service before you arrive.Relax on the couch in your living area and watch the 42-inch HDTV. 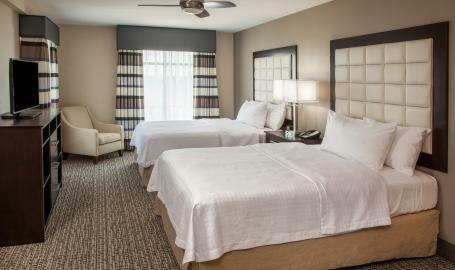 Each bedroom features two queen beds or one king bed and another HDTV. Cribs and high chairs are complimentary upon request for traveling families. Savor a hot full breakfast each morning. 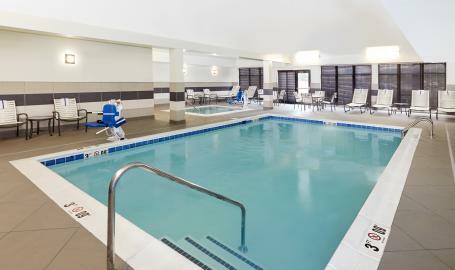 Kids will enjoy access to Lewis the Duck children's books and a heated indoor pool.